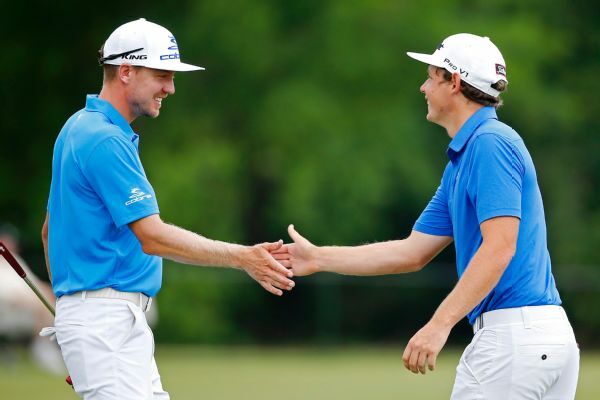 Kevin Kisner chipped in for eagle on the 18th hole Sunday night, lifting himself and teammate Scott Brown into a Monday playoff at the Zurich Classic with Jonas Blixt and Cameron Smith. 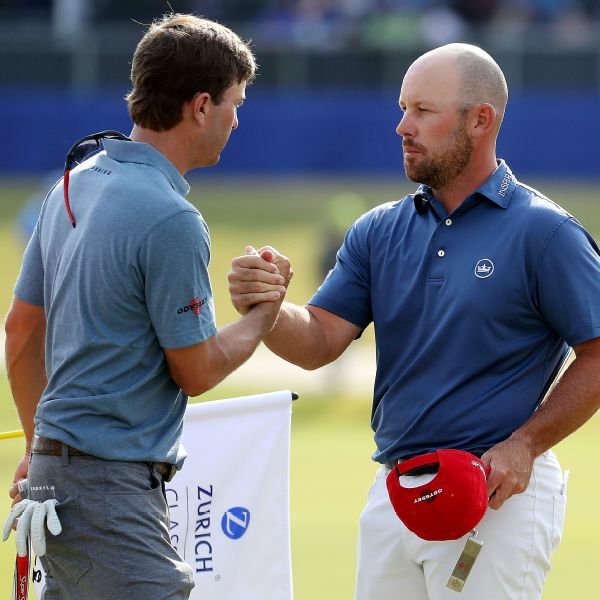 The Zurich Classic was a success using a team format for the first time because there's nothing else like it on the PGA Tour. And it should stay that way. 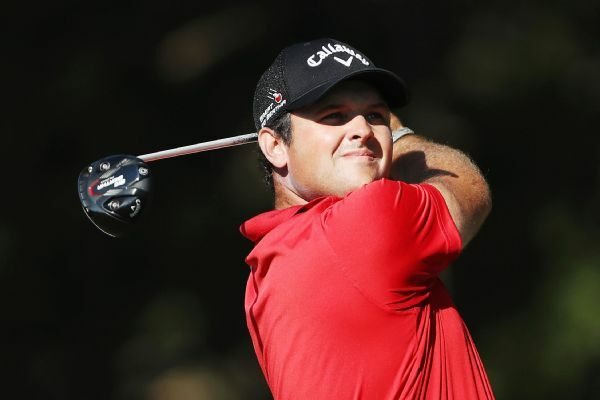 While Kevin Kisner and Scott Brown lead the Zurich Classic, 13 teams are within four shots of the lead entering Sunday. 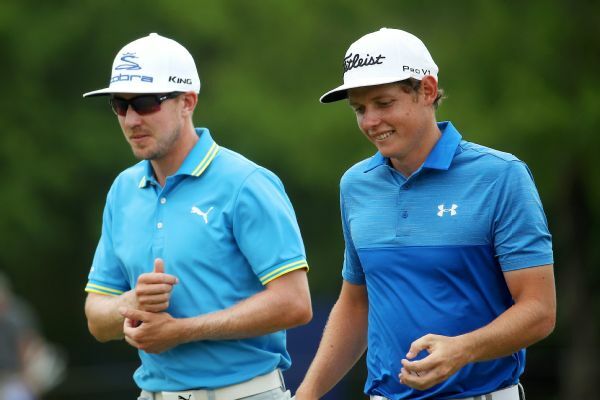 The duo of Jonas Blixt and Cameron Smith has a two-day total of 15-under 129 and a one-shot lead after the second round at the Zurich Classic. 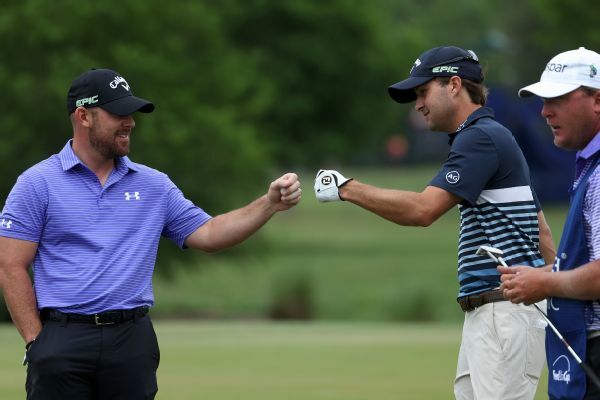 Jordan Spieth and Ryan Palmer fell to fifth. Defending Masters champion and world No. 11 Sergio Garcia has committed to play in the PGA Tour's Zurich Classic of New Orleans team event in April. Cameron Smith's long-time coach believes his star pupil is on the path to major championship success after the young Australian's breakthrough US PGA Tour win. 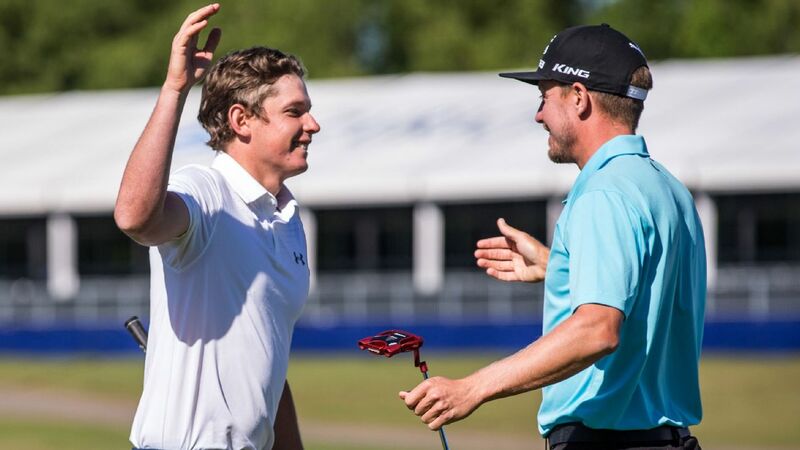 Swede Jonas Blixt and Australian Cameron Smith of Australia hold the lead heading into the Zurich Classic final round after a bogey-free round on Saturday. 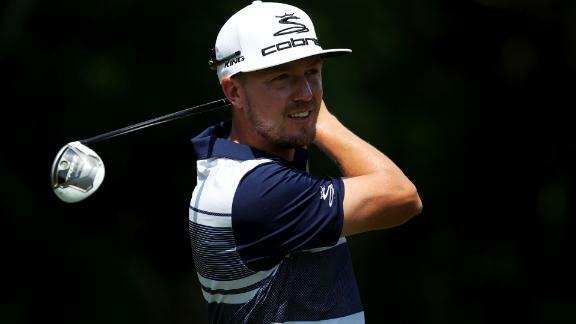 Jonas Blixt, who sits at 10 under after 36 holes, really didn't see his consecutive 67s coming this week at the Players Championship.